The feminized Chronic Haze by World Of Seeds is the result of crossing Pure Chronic with Pure Haze and boasts with a very durable high full of energy. This 60% Sativa thrives nicely indoors and outdoors alike, with yields of 350-450g/m² in the tent and up to 500g in the wild of your garden. Expect your reward after 9 weeks of flowering and enjoy the THC level of 20%. 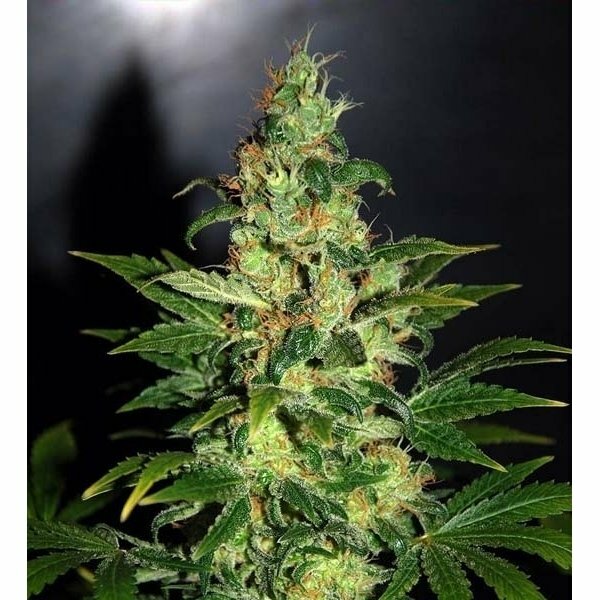 The feminized Chronic Haze by World Of Seeds is the outcome of mating Pure Haze with Pure Chronic and it boasts with a very durable high full of energy. This hybrid with a 60% Sativa and 40% Indica background is well suited for both indoor and outdoor cultivation and is fairly quick for a Sativa dominant strain. The smell of this variety is a factor when choosing the location for growing her; indoors you should make sure your carbon filters are ready to rock, because she has the potential to stink up your whole house. Serious, no matter how much you like the aroma, your visitors or neighbors might think totally different. Chronic Haze is rather easy to raise, because she has a high tolerance to irrigation mistakes and she is highly resistant to molds and pests - definitely a good choice for novice growers. For a Sativa dominant strain she has a fairly short flowering time, expect your reward after 9 weeks of flowering. Indoors your loot will amount to 350-450g/m²; outdoors the time for reaping the fruits has come by mid October and the yield will be anything between 350 and up to 500 grams in the wild of your garden, depending on where you live etc. You will be pleased by the end-product with its THC level of 20% and a very heady high, pinched with a tad of body numbing to ease your body.